The Radeon HD 3300 IGP was an integrated graphics solution by ATI, launched in August 2008. Built on the 65 nm process, and based on the RS780 graphics processor, in its RS780D variant, the device supports DirectX 10.0. It features 40 shading units, 4 texture mapping units and 4 ROPs. The GPU is operating at a frequency of 494 MHz, which can be boosted up to 695 MHz. Its power draw is not exactly known. Radeon HD 3300 IGP is connected to the rest of the system using a PCI-Express 1.0 x16 interface. The Radeon HD 3300 IGP is housed in the AMD 790 GX northbridge. Apart from sharing system memory, manufacturers have the advantage of adding dedicated GDDR3 memory using its sideport. 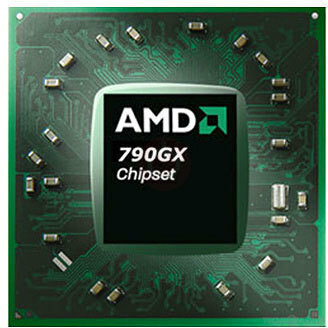 RS780L is embedded with a 760G Chipset. RS780C is embedded with a 780V Chipset. RS780 is embedded with a 780G Chipset. RS780D is embedded with a 790GX Chipset. RS780M is embedded with a 790GX Chipset.